I've been so busy with work and school that I haven't had time to make anything other than the things I'm working on for my MFA thesis show. 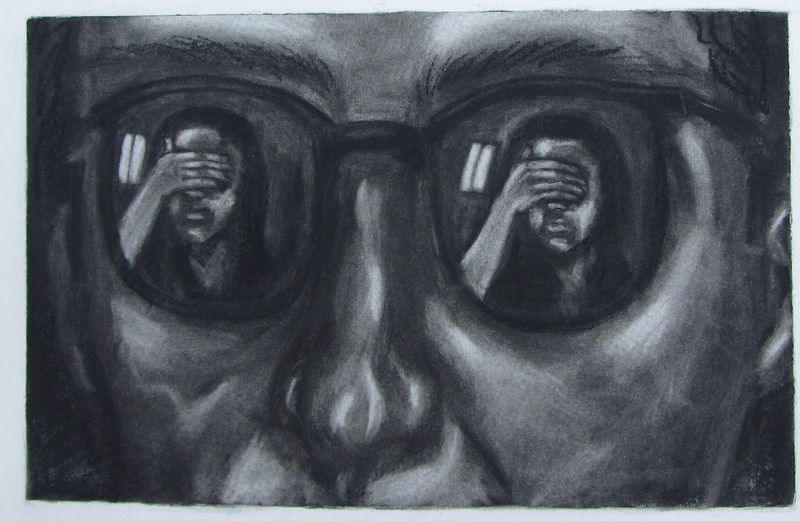 I miss posting to IF, so when I saw today's prompt, shades, I thought of this drawing. It is really old, from my time way back at Idaho State. It was for my very first formal drawing class. Love the depth of this piece. Great work!